After three days of exciting exchange, delegates at the EcoProcura conference in Ghent (Belgium) concluded that for Europe to gain maximum benefit from procurement practices, sustainable and innovation procurement must be placed at the heart of strategic decision making. The European Commission’s revised Public Procurement Directives will play a significant role in harnessing the capacity of the public sector to foster sustainable and innovative solutions, and move procurement from being seen as an administrative to a strategic concern. The conference, organised by ICLEI and the City of Ghent, demonstrated the consensus that the pressing issues facing Europe today require public authorities to work with the market to develop sustainable and innovative solutions, rather than viewing the market as unchangeable. These outcomes will inform policy processes, and will be fed into the Procura+ Campaign, a movement of public authorities at the forefront of sustainable and innovation procurement in Europe. At the close of the event, the City of Ghent demonstrated its commitment to sustainability by signing a strategy on sustainable procurement and a Charter that obliges the city to spend 10 percent of its ICT budget on innovative solutions. “Sustainability and innovation are moving from secondary considerations to central elements of procurement as highlighted by the recently revised European Union Public Procurement Directives. ICLEI’s Sustainable Procurement Campaign, Procura+, is playing a crucial role in this movement. This year it celebrates its 10th anniversary of supporting public authorities in implementing sustainable procurement. I urge all public authorities to rethink the importance of procurement in making the shift towards sustainable patterns of production and consumption to the benefit of our society, the environment and future generations.” said Pekka Sauri, Deputy Mayor of the City of Helsinki (Finland) and Procura+ Chair. For more information, read the full EcoProcura outcomes article. 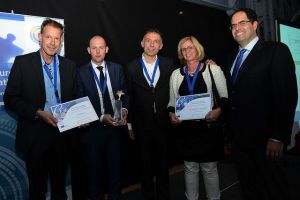 Erasmus Medical Centre Rotterdam (the Netherlands) was announced as the winner of the Public Procurement of Innovation Award at a ceremony held during the EcoProcura conference, in Ghent (Belgium) yesterday. The Dutch hospital, which overcame competition from five other finalists, was praised by the jury for its innovative robotic bed washing facility. The award was presented by Bonifacio Garcia Porras of DG Enterprise and Industry, European Commission. The Erasmus University Medical Centre asked the bidders to design a more cost and environmentally efficient solution to disinfect the hospital's 70,000 beds and mattresses. The contract was won by IMS Medical, who proposed a creative approach - high precision cleaning robots that disinfect the beds in a conveyor belt format, similar to the set-up employed by car manufacturers. Through the facility, the cleaning costs per bed were lowered by 35 percent compared with the existing solution, and the CO2 footprint reduced by 65 percent. The City of Oslo (Norway), Région Rhône Alpes (France), and A Coruna City Council (Spain) were given honourable mentions during the ceremony. A more in-depth profile of each finalist, detailing their organisation, procured innovation and supplier, is available here. The jury also praised the private companies who supplied the innovative solutions, with each company involved in the procurement processes commended for contributing to a more efficient and competitive Europe. "Public procurement has a significant role to play in stimulating innovation to ensure that Europe successfully meets future economic, social and environmental challenges. Procurement requirements that demand innovative solutions can stimulate new sources of jobs and growth in Europe. I warmly congratulate the winner of the PPI Award and I hope that the procurement practices of the winner and the nominees will act as an inspiration to others." said European Commissioner Ferdinando Nelli Feroci. A study visit focusing on the inspiring qualities of light and the potential economic and social benefits that interactive light displays and light festivals can have will take place in Eindhoven (the Netherlands) from November 12 – 13 as part of the ENIGMA project. Led by the City of Eindhoven, the project aims to implement a transnational pre-commercial procurement (PCP) procedure in the field of public lighting together with partner cities Malmö (Sweden), Stavanger (Norway), Espoo (Finland) and Bassana del Grappa (Italy). The study visit will take in the acclaimed GLOW festival, and will provide an opportunity for public procurers to discuss the topic of innovative public lighting with other interested stakeholders. Following the study visit, select participants will have the chance to take part in a one and a half day “work shadowing” event within the City of Eindhoven, providing a unique opportunity to gain insight into the inner workings of a pioneer city and to exchange with a range of professionals. A maximum of two representatives from public authorities will be able to take part in this work shadowing. An agenda is available for the event, and registration is possible online. A limited number of travel and accommodation grants are available, with registrants required to mention if they wish to apply for one and their motivation for taking part. For more information, visit the ENIGMA website. 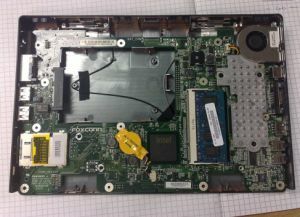 The demand on the computer industry to consistently develop updated products has led to a number of negative consequences, such as poor working conditions in IT equipment manufacturing plants. Long working hours, low wages, and inadequate safety measures are just some of the issues faced by employees. To help buyers choose sustainably made products, a new report on the ‘State of Socially Responsible Manufacturing in the IT Industry’ has been produced by TCO Development. The report found that progress has been made among several brands in regards to responsibility, structure and transparency. Many have taken greater responsibility for working conditions in manufacturing facilities, while others have increased training in socially responsible manufacturing for their suppliers. Despite progress, however, the analysis also reveals that major violations in working conditions, such as the contravening of labour laws, persist. Criteria regarding socially responsible manufacturing processes were introduced by TCO in 2009, with the aim to provide a path to TCO certification. Through the certification, the organisation hopes to create a more transparent dialogue with the industry. For more information, visit the TCO Development website. 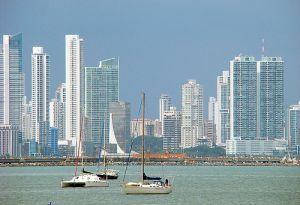 Selected as a pilot country for a UN project on sustainable public procurement (SPP), the nation of Panama has adjusted their procurement processes to incorporate sustainability. Ten state institutions have adjusted their catalogues to encompass products and services that meet high sustainability criteria, as proposed by the United Nations Program for the Environment (UNEP). The Panamanian government procures services worth $3 billion per year. UNEP intends to upscale the plans in the region, pending a review of their efficacy. 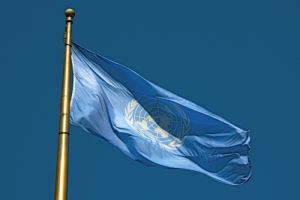 The UN body has held discussions with public authorities regarding the current SPP methodology in place, with the aim to enhance implementation. At its core, SPP is about taking sustainability considerations into account in procurement actions, such as buying only what is needed, purchasing products and services with high environmental performance, and considering the social and economic impacts of a purchasing decision. With such a large market share, public buyers can have a big influence in driving the market towards sustainable solutions. For more information, read this short news article. 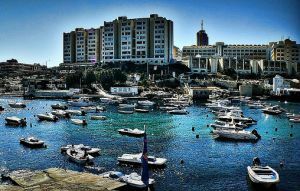 Faced with a lack of policy and strategic vision, the fragmentation of institutional responsibilities, and a dearth of technical capacity at the level of public procurers, the uptake of Green Public Procurement (GPP) in Malta has been tepid. However, bolstered by the EU procurement directives, the island nation is taking steps to ensure the practice goes mainstream. To boost uptake, the Maltese government has issued a call to recruit outside expertise to support in the development of GPP strategies for at least two government beneficiaries. As part of their duties, the consultancy will be expected to deliver scientific studies to assist in the introduction of 10 new environmental criteria. Critics, however, note that the programme needs to be given increased funding to succeed. While many welcome the gesture to bring in an outside expert, critics believe that more will need to be done to ensure that the revised EU directives are fully implemented, and GPP as a concept embraced by public authorities across the country. A 2012 National Action Plan made some progress in the area, but overall was widely seen as not achieving its target of broadly boosting GPP in the region. For more information, read an analysis by the Malta Independent. UNEP, as part of the 10YFP on Sustainable Public Procurement (an initiative which ICLEI co-leads), has launched a pre-study to determine whether the private sector is ready to meet the ambitious sustainability requirements of procurers in the public sector. The study also explores to what extent sustainable public procurement (SPP) can be a tool to promote sustainability in supply chains, outlining the present potential and limitations. Globalisation, the study finds, has made supply chains more complex, and so has hampered efforts to assess the sustainability of final products and services. As a good may be assembled in several countries, it is difficult to clearly ascertain whether each step of the process has met sustainability criteria. The need for greater transparency and a method to tackle this complexity is highlighted as a necessary step in greening supply chains. The study also found that while large companies are embracing sustainability as a part of their business model, many small and medium sized enterprises are lagging behind. As well as raising awareness, the document aims to build up interest among stakeholders to finance a project to act on the study's recommendations. The document is available to download online. 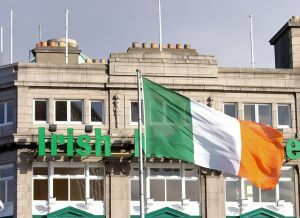 Responding to concerns from public authorities tasked with implementing green public procurement (GPP), the Irish Environmental Protection Agency (EPA) has produced a guide to help public sector procurers implement sustainable and green procurement practices. The document covers a wide range of sectors, including construction, transport, energy, food and catering, textiles, cleaning products, paper and IT equipment. Around €15 billion is spent by the Irish government annually. Issues addressed in the document include the perception that GPP costs more, annual budget constraints, lack of support for GPP from senior management, risk of legal challenges, complexity of verification, the effect of central procurement frameworks, and working with a lack of resources. Additionally, the guide addresses the legislative requirements around GPP, as well as the effects of the recently adopted EU Procurement Directives. The benefits of more sustainable procurement are outlined, with the use of GPP as a means to contribute to Ireland's economic recovery highlighted. The public sector's responsibility to display leadership on environmental issues, and the long term benefits of GPP (social, economic and political) are also mentioned. For more information, visit the EPA website. 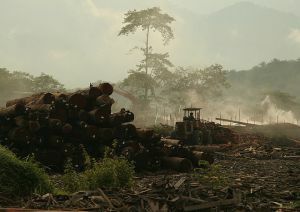 European local governments can significantly reduce tropical deforestation and environmental degradation by ensuring that the timber they purchase is legally and sustainably sourced, particularly when originating from tropical regions. 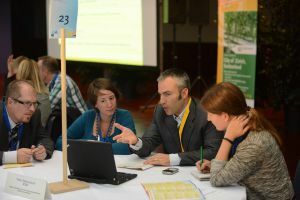 To discuss this further, the European Sustainable Tropical Timber Coalition (European STTC) will hold a workshop on 25 September in Ghent (Belgium) from 13.30 - 15.30, as part of the EcoProcura conference. Speakers include, Peter Defranceschi, Head of the ICLEI Brussels Office, Félix Romero, Regional Director of the Forest Stewardship Council Europe, and Thorsten Arndt, Head of Communications at PEFC International. The EcoProcura conference is the only European-wide forum on sustainable public procurement and procurement of innovation. The event brings together purchasers from all levels of governments, suppliers, and policy-makers to exchange experiences and practical solutions. Participants are encouraged to stay for the whole of EcoProcura, and to join the European STTC at the EcoProcura Market Lounge, and the Meet Your Buyer event. For more information, read the EcoProcura workshop description.